﻿ The profound impact that Movements have already had speaks volumes about their place in the scene, both now and going forward. With just one EP to their name, the California quartet have become the newest burgeoning success story in an already thriving emo revival, primarily for all the reasons that any emo band picks up traction, but to a higher degree than many have been able to muster. It says a lot that Feel Something was as highly anticipated as it was before it was even officially announced, but if Movements can pull off something great on this debut album, the chances for scene stalwart status is essentially guaranteed. But here’s the thing – while Feel Something isn’t exactly that, Movements definitely have enough passion and style to show that there is greatness in them. There’s still a lot to like about this album, and even in its subjectively weaker moments, like the distant, overly-minor Submerge or the unrefined acoustic bashes of Fever Dreams, Movements draw on true reality in a way that’ll make even those tracks have resonance. It’s definitely a flawed album, but more than most, those flaws are easier to pinpoint as to not mitigate the overall effect too much. And this is an album with potency strewn all across it, mainly from adhering to the well-worn emo mainstays of darker, hollow instrumentation and a vocal performance that skirts across the gamut of intensities without a second thought. It gives the warping guitar lines and tones of tracks like Third Degree and Deep Red some real weight behind them, and especially when vocalist Patrick Miranda launches from screams into a searing spoken-word polemic on a track like Grey, the reflection of La Dispute becomes clearer, but it fits in with Movements’ style perfectly. 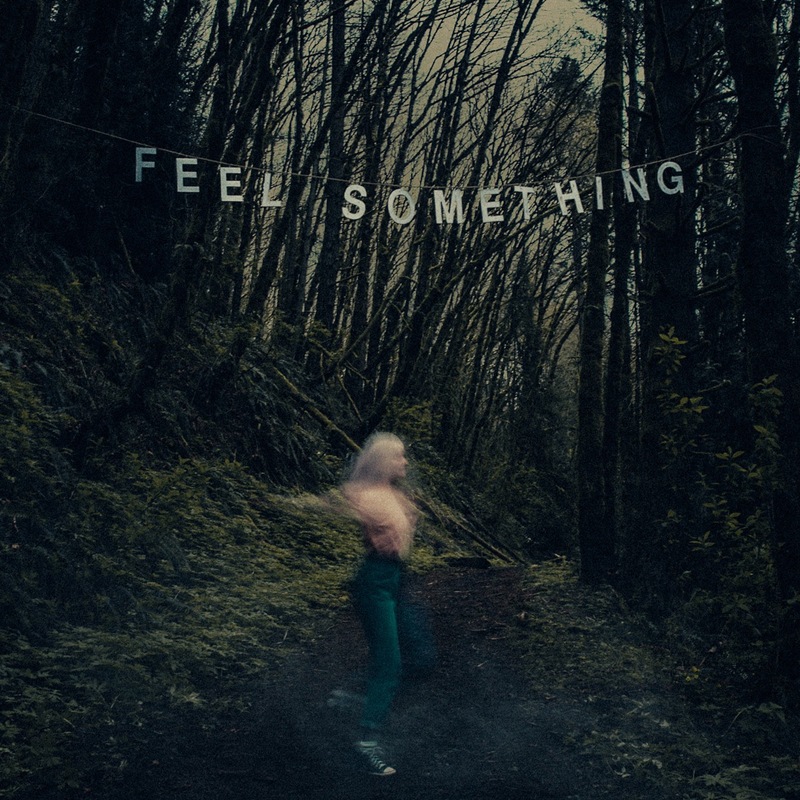 This is a band who’ve already got a firm grip on what they’re doing from an instrumental perspective, and excluding the aforementioned examples, Feel Something has a sense of focus and cohesion without feeling calculated at all. But of course, an album like this lives and dies, not only on its handle on emotion, but the vehicle in which it’s delivered, and while Movements have nailed the former right off the bat, the latter is a bit of a mixed bag. That’s not to say it’s bad whatsoever, as at the peak of their powers, Movements tap into such a rich core of storytelling that makes Feel Something‘s best moments really shine. As ever, it’s an album that unfurls itself as deeply reflective and driven by honest diarising above anything else, whether that’s Miranda’s own inability to maintain healthy relationships on Colorblind, his girlfriend’s therapy sessions to try and find some kernel of hope on Daylily, or even the Alzheimer’s afflicting her grandfather on Deadly Dull that’s just as much of a gut-punch to hear about as it must be to witness. They do throw their A-material out first though, meaning that, especially towards the very end, Feel Something does begin to falter in terms of how compelling it is. The likes of Under The Gun and Submerge might retain Miranda’s firepower (only to an extent in the latter case), but with a comparative lack of distinct or interesting imagery to fall back on, Feel Something does tail off with respect to a first half that’s totally top-loaded. It is a slight disappointment to see that Movements haven’t capitalised on their potential to the fullest extent here, but especially for a debut, Feel Something is far from a failure. If anything, this can be seen as the nucleus for Movements going forward above anything else, establishing and solidifying ideas to be built on rather than perfecting them straight away, and even though there’s already a handful of certified gems here, Feel Something is that open door that gives Movements a wealth of choices of how to progress themselves. This is definitely worth a listen regardless, if only to see exactly how emo’s next showstoppers are starting off. ‘Feel Something’ by Movements is released on 20th October on Fearless Records. What’s Happening i am new to this, I stumbled upon this I’ve discovered It absolutely useful and it has helped me out loads. I am hoping to give a contribution & help different users like its helped me. Good job.